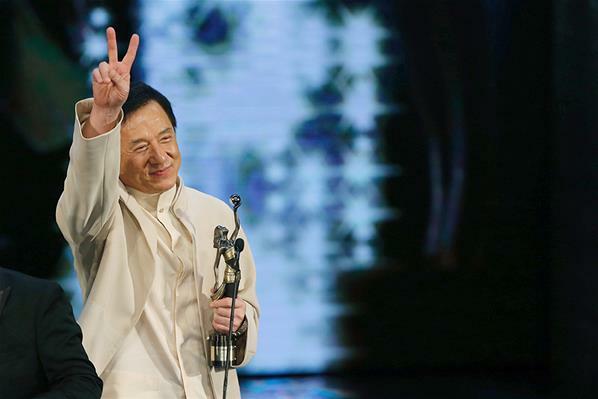 Jackie attended the 3rd Beijing International Film Festival closing ceremony at the China National Convention Center on Tuesday evening, accompanied by co-stars from his upcoming new film, New Police Story 2013, actress Jing Tian, actor Liu Ye, director Ding Sheng and others. 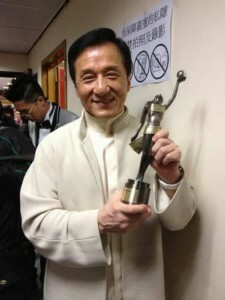 Days after winning several Huading awards for CZ12 (Chinese Zodiac), Jackie has done it again. 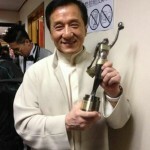 At the Hong Kong Film Awards on April 13, Jackie and his stunt team took home the Best Action Choreography award. Congratulations to Jackie and his team! Jackie attended the Huading Awards ceremony held at the Hong Kong International Trade and Exhibition Center on April 10th. Jackie was named Best Director for his work on CZ12. The film also won awards for Best Action Choreography and Best Newcoming Actress – Zhang Lanxin. 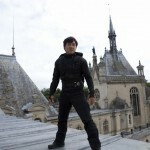 Congratulations to Jackie and the cast and crew of CZ12! 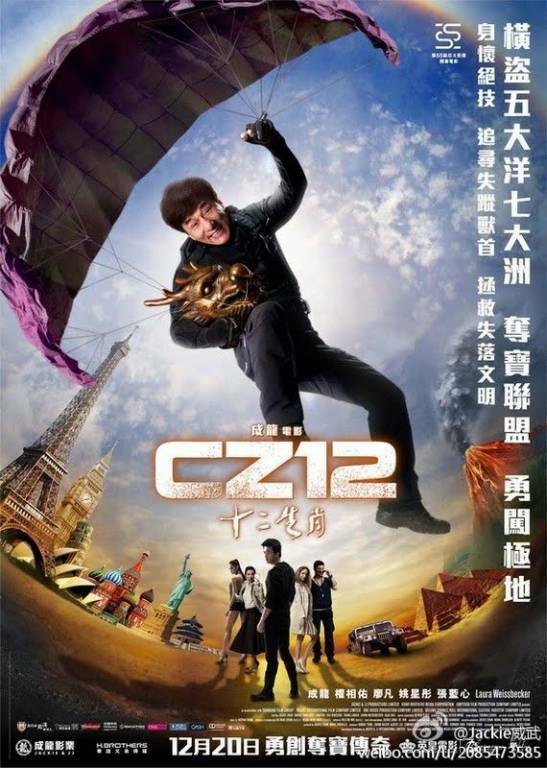 Jackie’s action comedy CZ12 has won the Laugh Category Uminchu Prize Grand Prix at the 2013 Okinawa International Movie Festival. 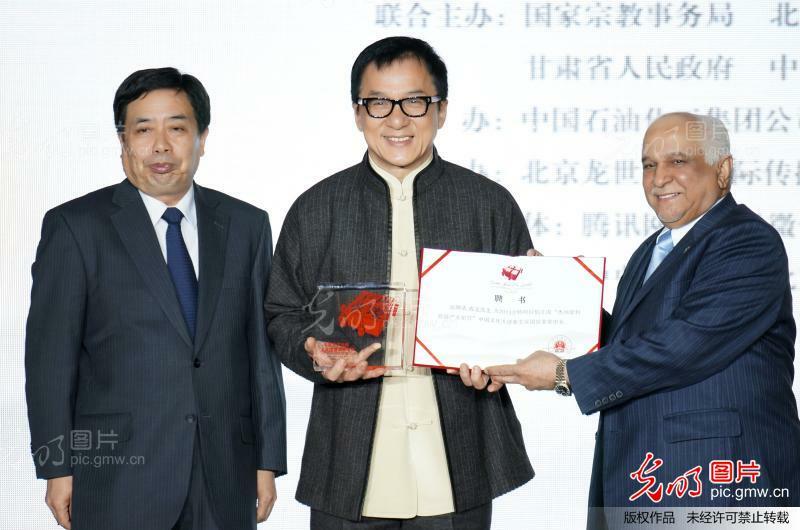 On March 18, Jackie attended a press conference and launch in Beijing for the 2013 Janadriya Festival which will be held in Saudi Arabia in April. Jackie will serve as the cultural ambassador for the festival, which showcases the culture and traditions of Saudi Arabia. At the press conference, Jackie said he was honored to act as ambassador and help contribute to expanding relations between the two countries.